Order in the next 3 hours, 13 minutes an 55 seconds for same day shipping. Ideal for on the move! 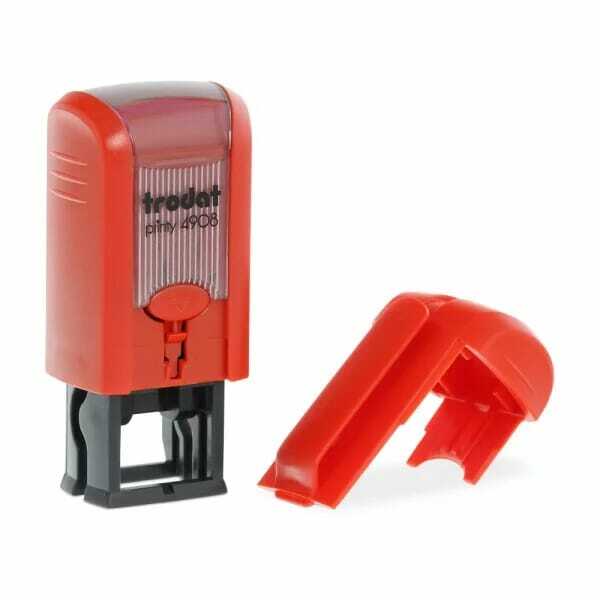 The small, lightweight Trodat Printy 4908 self-inking rubber stamp fits in every pocket. With an impression size of 15 x 7 mm, it is perfect for short messages or small logos or icons. Practical idea: use it for printing your logo/images on your customers' loyalty cards. 6/4908 is the suitable replacement pad: available in black, blue, red, green or violet and supplied in a convenient blister of 2 pieces. Dry felt pads are suitable for special inks. Customer evaluation for "Trodat Printy 4908 15 x 7 mm - 1 or 2 lines"